As they move toward initiation of one of the biggest civic projects in the city's 15-year history, the five Elk Grove City Councilmen will be facing decisions that will have long-term effects on Elk Grove. The projects in question are the ballyhooed soccer fields and stadium proposed for the 100-acre site on Grant Line Road. While a majority of the five councilmen have strongly indicated a predisposition to approve the project in some form, there is one big hurdle they have only opaquely addressed - how to pay for it. While the question of financing the facility was brought up at last week's workshop conducted by the city, no firm answers were provided. An email inquiry to city and all five councilmen regarding what financing options might be available to them generated a sole reply from a city staff member saying only that they will be discussed at a regular council meeting in September or later. In the last couple years various city staff members and councilmen have floated two possible financing scenarios - a public-private partnership, such as the one originally proposed but did not materialize between the city and P3 International and Jeroen Gerrese for construction of the city's aquatic center, and revenue bonds. While the city's initial experiment to form a public-private partnership with Gerrese failed, the revenue bonds idea has been kicked around in discussions. So what is a revenue bond, and what are the risks? Simply stated, a revenue bond is a municipal bond issued that promises to pay bondholders back from a specified stream of revenue. In this case, if the city issues a revenue bond for construction of a stadium, which in California does not require voter approval, for the bond investors that stream of revenue would primarily be user fees from the facility. While revenue bonds are easier to issue from a political perspective compared to general obligation bonds, which usually require voter approval, they carry more risk and face tougher underwriting requirements. That is the opinion of Alan Schankel, managing director of Janney Capital Market's Fixed Income team. A 45-year bond market professional with underwriting and analysis experience, with an emphasis on municipal bonds, Schankel said revenue bonds are far riskier to underwrite as the proposed revenue stream has no track record. "They want to see some kind of back-up from the city if it is needed," Schankel said. "Sometimes they want to see a tax stream. They want to see as much security as possible." Additionally, Schankel said bond underwriters typically make the borrower, in this case the city, escrow a certain amount of the proceeds in a debt service reserve fund. These borrower provided funds act as a sort of insurance policy should revenue streams fail to meet projections. Schankel also said underwriters often hire independent consultants to analyse if other factors, such as increased sales tax revenues derived from the project, or other facility uses such as concerts, can be earmarked for repayment of the bonds. "My opinion as an analyst, I am very cautious, skeptical about those type of claims," he said. Schankel cited Wenachetee Wash., as a municipality that found itself in a bind after a failed sport-entertainment center failed to meet revenue expectations. "As a bond analyst, I think a municipality should stick to their core functions and not go too far afield," Schankel said. "Generally a municipality should stick to their knitting and let somebody else do these things." Dr. Walter Schubert, Ph.D., Chair of the Finance Department at Lasalle University noted that public funding of stadiums is also becoming increasingly unpopular with voters. "I do not have the data at hand, but generally speaking there is quite a groundswell of protest over taxpayer money being used to finance sports facilities," he said. "The protests in Brazil leading up to the World Cup are a good example. People on the street do not seem to feel that they get the proper return from government expenditures." Although Schubert said taxpayers can be protected should the revenue bonds fail, he noted there could be other effects. 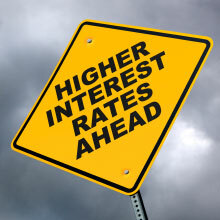 Should Elk Grove proceed with the issuance of revenue bonds, Schankel opined underwriters will probably issue lower credit ratings resulting in a higher interest rate. "I don't think this would be a highly rated issue," Schankel said. "It would be low quality, or even be junk." A Flea Market would also be great...perhaps Ms. Behrmann could help us out with that one. Interesting to note for Wednesday's Elk Grove City Council Closed Session meeting are three lawsuits. One being the city is suing P3 International. This is the first it has been announced. Usually there is a reportable item out of a previous closed session that the Council voted to institute legal action. Maybe the Council finally listened to active citizens who said we wanted "our money back." Another is a "Doe vs. the City of Elk Grove," a lawsuit filed in U.S. District Court. A civil rights case maybe whereby the plaintiff's name is being withheld. Most likely there will be differing opinions on this one & will now play out in the courts it seems. Contractors may be cautious dealing with the city now. If memory serves me correctly I believe we contracted with a company with no Aquatics building experience, let alone Olympics experience. Would that not have a hugh bearing on getting financing for the project? As stated above...when the city is asking for new RFP's on this Center, I would think that would mean contractors would move very cautiously on bidding on it at this time. Shouldn't we have had a surety bond in place or something along those lines as protection? To the many laymen of this city we always knew this was not vetted well from the start. Much like we're now seeing with the soccer complex. Each day they come up with a new concept...like a bunch of children! Plans that went to LAFCO and what is being presented to the residents are worlds apart. The games we play!!!! Elk Grove is going to become a steaming dumpster fire of a valley arm pit. Who cares if we are rapidly running out of water. Just keep on grading the land and throw up the sticks and stucco. By the developers, of the developers and FOR the developers. A flea market probably would work. So would a truck pull, shooting range, mud wrestling, calf roping, paintball facility. Now we're talking baseball and another Feasibility Study. Talk about a city without a plan, that's Elk Grove! Just spend, spend & spend with no end results. Oh, forgot...we do or will have a lawsuit. With the money we have spent on designing the Civic Center and all the feasibility studies we could have those kids some sports fields in and paid for by now. Instead we're still doing studies and have not one thing to show for them. If our city team was working for some corporation they would be out the door in a second. We're such a failure as a city and I see no change in our future....just more of the same. I heard back from City Attorney Jon Hobbs. The Council announced that litigation would be filed at the November 12, 2014 Council meeting. However, the defendant was not disclosed at that time and an update was never given after the lawsuit was filed. I was told that “we have to inquire” and upon inquiry, the defendant, P3 International, would have been disclosed. Does this name mean anything?